The European Parliament voted on January 16, 2018 for a ban on the controversial fishing practice of electric pulse fishing, in which electrically charged lines are dragged just above the sea floor, stunning marine life up into trawling nets. The Members of the European Parliament (MEPs), the only directly elected body to represent the European Union (EU), voted 402 to 232 in favor of the ban. Eight of the MEPs abstained from the vote. The EU is currently made up of 28 member countries. The ban must still be presented for discussion in the member countries, the European Commission, and parliament for final approval. The European Commission is the EU’s politically independent executive arm. 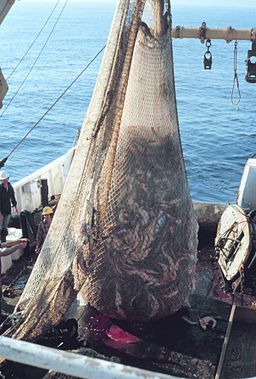 Electric pulse fishing, also called pulse trawling, was banned in 1996. However, in 2010, an exemption allowed 5% of the Dutch trawler fleet to use so-called “innovative methods” for scientific research, enabling the use of electrical current in European waters. The exemption was increased to 10% in 2012. There are over 80 vessels equipped for electric pulse fishing in the Netherlands, predominantly fishing in the North Sea. The Government of the Netherlands Department of Agriculture claims that the large number is necessary to investigate the effects on the eco-system of the North Sea. Proponents of pulse fishing claim it is efficient and causes less damage than bottom trawling. Electric pulse fishing is banned in the United States, China, and several other countries. It is also illegal to fish using poisons or explosives. It would then be logical to conclude that an animal that can feel pain can also experience distress. It is likely that humans will never fully know the extent to which fish feel pain, but acknowledging that they do raises the likelihood that fish will receive the humane treatment increasingly provided to vertebrates. Estimates for the number of fish killed every year range from 970 to 2,700 billion wild fish and 37 to 120 billion farmed fish. Wild caught fish die through suffocation, being crushed in nets, freezing, and live dissection. Farmed fish suffer inhumane treatment as well. Thousands of fish are crowded together, along with feces, uneaten food, and dead fish. Pesticides and veterinary drugs are employed in the farming process, and add to the contaminated water runoff, an issue of great environmental concern. Marine ecosystems are declining rapidly as climate change and pollution cause deoxygenation and lead to dead zones in the oceans. This threat to marine life is compounded by overfishing and destructive fishing methods such as trawling and electric pulse fishing. Overfishing is seen as one of the most serious environmental challenges facing the health of the world’s oceans.